I hope you had a fun and safe St. Paddy's day. And even more so, I hope one of you painted your own Lucky Leprechauns on your nails! Now, onto the point of the post!! 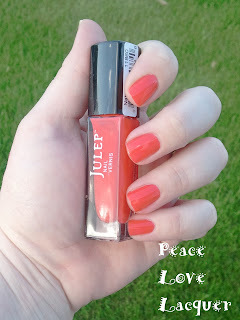 I signed up to be a Julep Maven, because who can say no to a $.01 deal! 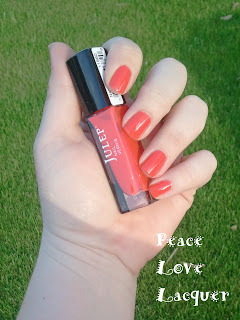 The deal is still going on, just go to the Julep Maven site (here) and enter promocode SHAREONMARCH when checking out! This is what the box looks like when you get it in the mail. I selected the Bombshell box this month. It comes nicely wrapped up in pretty lavender tissue paper. These are the goodies I got!! I swatched Natalie and Sofia for you quickly this evening. We actually got some rain here in the desert, so I had to try to catch the sun in a hurry when it peeked out of the clouds. Meet Natalie, in the direct sunlight. This is two coats, no top coat. This is Sofia, two coats, no top coat. She is barely visible in the direct sunlight. You can see her green hue in the shade. She would be best for layering (and I will probably be doing it soon, since she is a perfect Easter color, in my opinion). I really enjoyed her sparkle, I wish you could see it in the pictures! 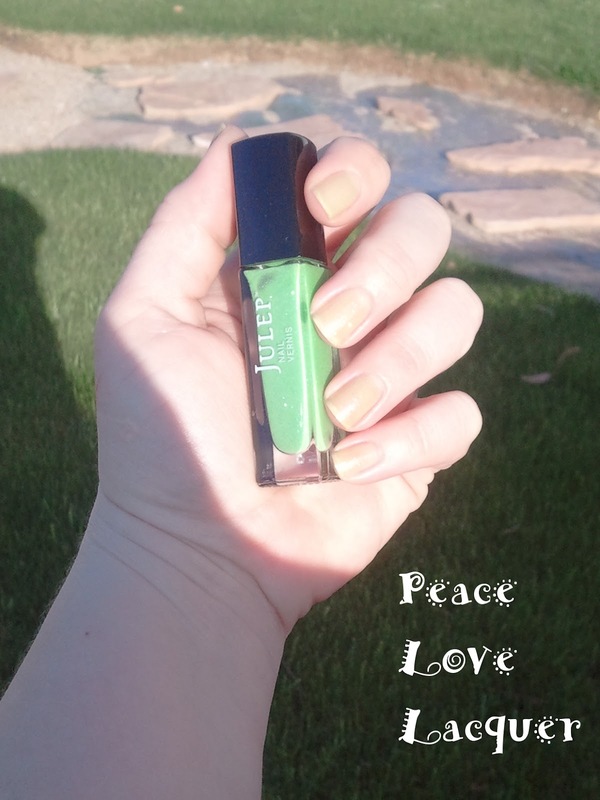 The formula was absolutely lovely to work with... not to thick, not too thin. 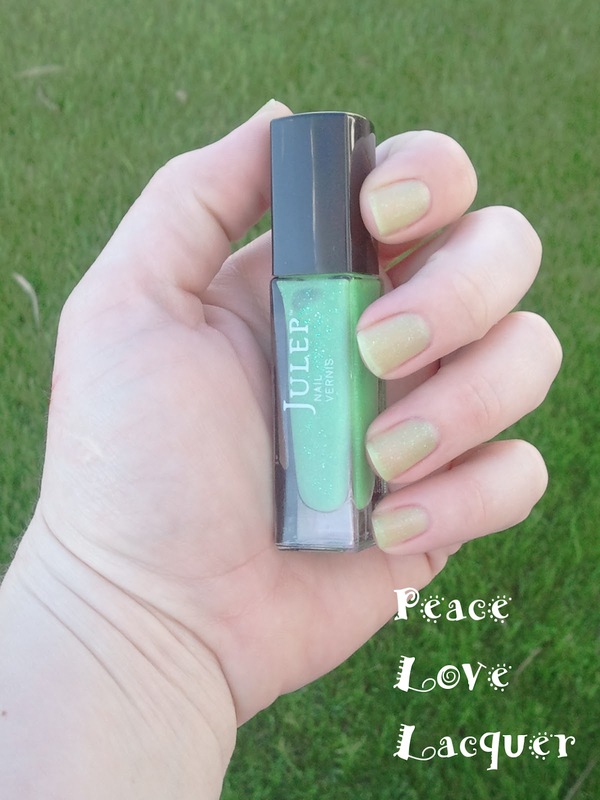 Are you a Julep Maven? What are your favorite Julep girls?